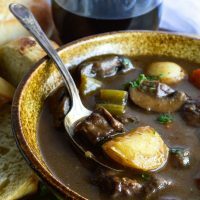 Just in time for the cold winter months, this Easy Beef Stew Recipe will warm you up on the coldest day! This hearty dinner is full of meat and vegetables for a nutritious family meal. 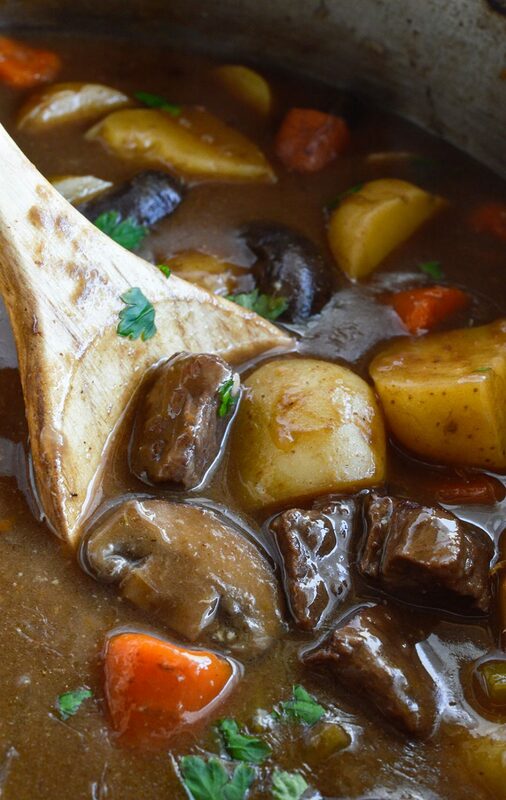 Is there anything better on a cold winter day than a bowl of hearty beef stew? Nope. 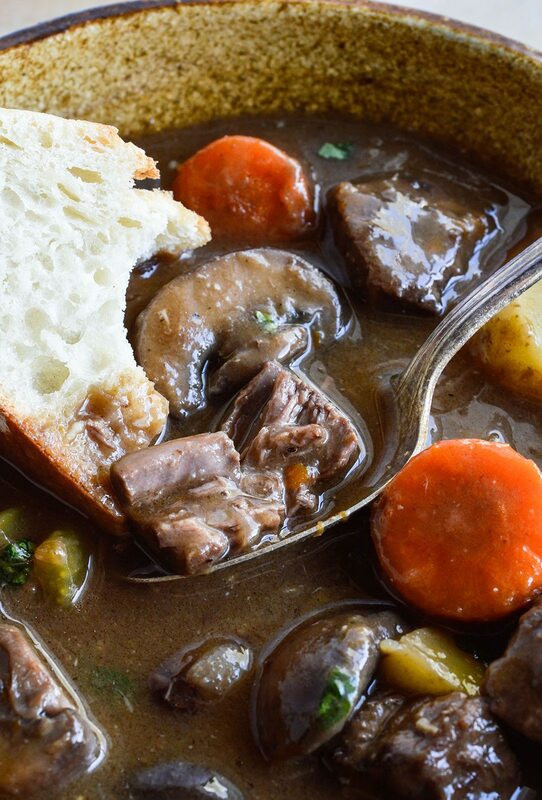 This beef stew recipe is fairly simple. It does need to cook on the stove top in order to get that deep flavor and luscious, thick consistency. But the preparation is straight forward. The most difficult part of making this stew is all of the chopping, slicing and cutting. Once that is done the rest is a breeze. I don’t know about you, but I could use some serious help with my knife skills. Luckily Calphalon has this amazing Self-Sharpening Cutlery Set. Yes, you read that right . . . Self-Sharpening! Sharpeners are built into the slots of each storage block to automatically sharpen knives with every use. Every time a knife is removed or replaced, it is automatically sharpened. This is an absolute game changer. No more dull knives because who has time to sit around and sharpen their knives? Am I right? Also, Calphalon has an amazing Knife Skills Video Library to get us started. Come on, we will learn together! 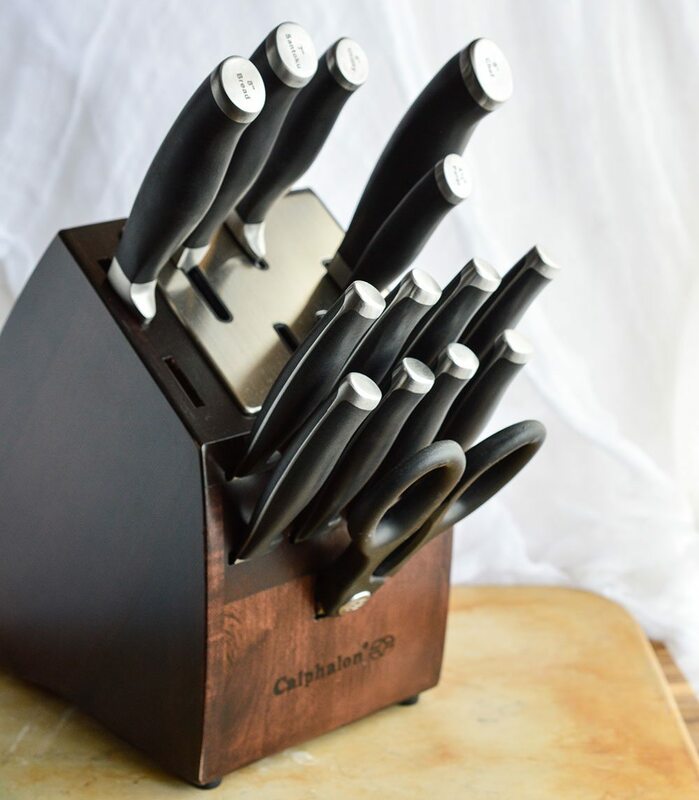 The Calphalon Self-Sharpening Cutlery set would be perfect for any cooking enthusiast, a house warming gift or wedding present. The knives are made from high-carbon, no stain forged stainless steel and feature a comfortably balanced handle. Ummm . . . And They Sharpen Themselves!!! 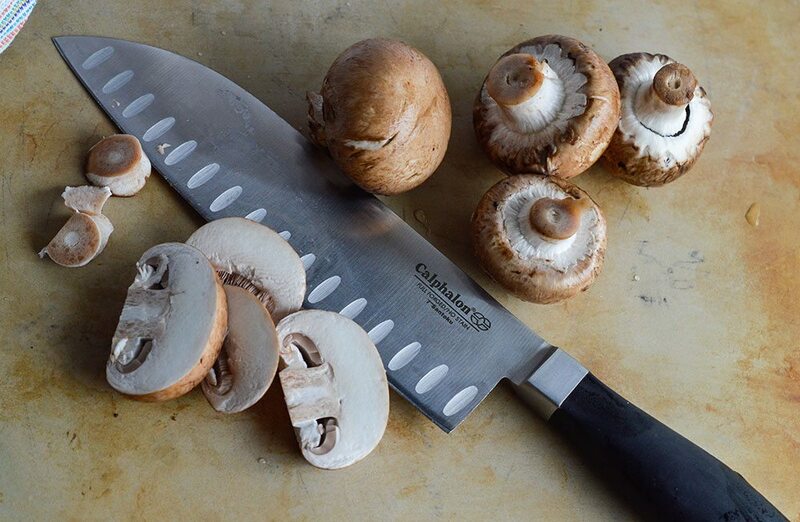 Check out this video to get you started slicing those mushrooms. . . 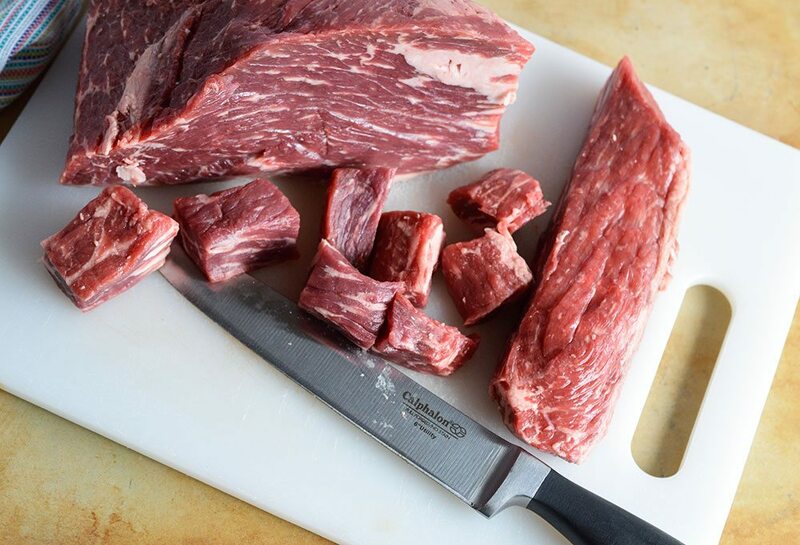 This knife sliced through the beef like it was butter! Seriously. So watch some knife skill videos, grab a knife and get to work. 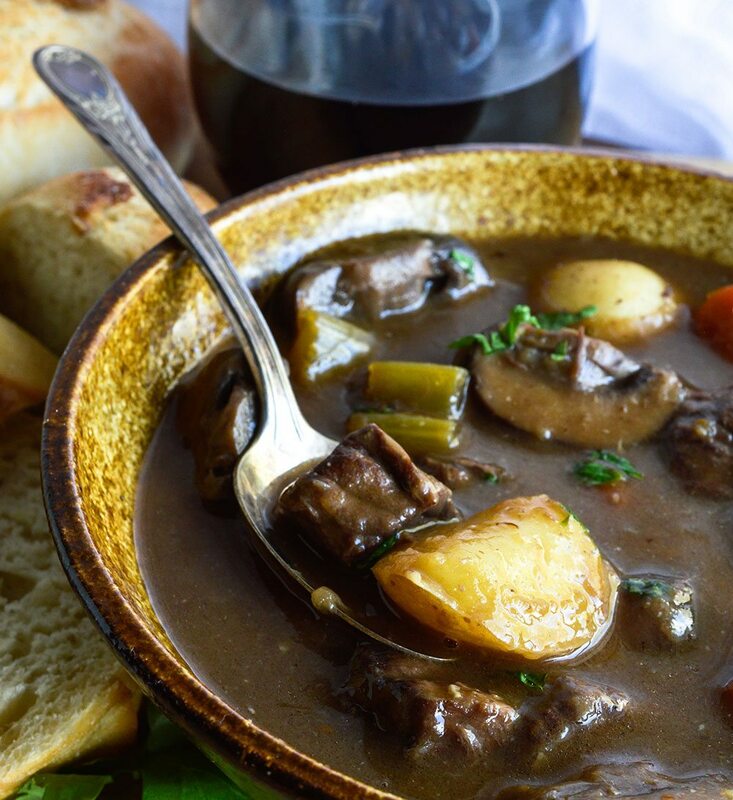 Then enjoy a bowl of beef stew, glass of wine and warm bread. Ahhhhh, winter just got a lot cozier. Add olive oil to the heated pot. Add stew meat, cook and stir until seared brown. Sprinkle the flour over the meat, onions and garlic one tablespoon at a time. Stir continuously to coat the meat evenly. After each flour addition, add a splash of beef stock. Repeat until all 6 tablespoons of flour have been added. Add the remaining beef stock. Bring to a boil then reduce heat to medium. Add the carrots, celery, mushrooms and wine. Lightly boil 30 minutes. Stir frequently. Reduce heat to medium/low and cook for 1 hour. Stir occasionally. Serve with fresh parsley and salt/pepper to taste.